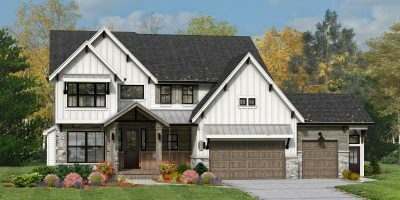 DJK Homes model home is located within the Stewart Ridge community. 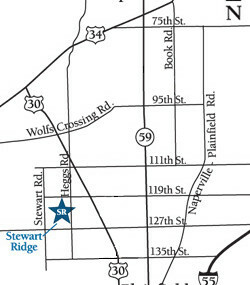 Stewart Ridge is located on Heggs Road in Plainfield, just 1/4 mile south of 119th Street and 1 mile west of Route 30. DJK homes model is located on the main boulevard within the community on the left hand side of the road. 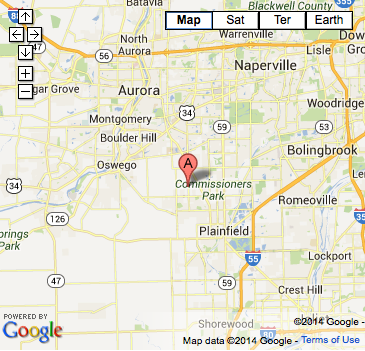 The community has easy access to nearby highways and entertainment, including Route 59, I-55, and the Fox Valley Mall. Stewart Ridge residents also enjoy being located just 35 miles southwest of Chicago. Starting on 135th Street, simply take I-55 north to I-90 West/I-94 West. From here, take the exit toward Washington Boulevard and soon you’ll find yourself in the heart of downtown Chicago.